Tulsa, Okla.-based HoganTaylor LLP (FY13 net revenue of $26 million) announced that Jennifer Matson has been admitted to principal in the assurance department. 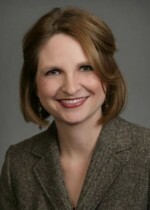 Matson joined HoganTaylor as a senior accountant in 2001. She primarily works in the energy niche. Her other specialties include manufacturing, nonprofit and tribal engagements.